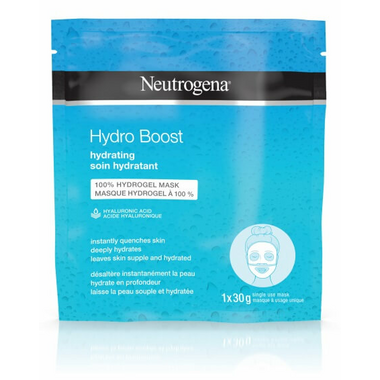 This innovative hydrogel mask, with hyaluronic acid, instantly quenches dry skin leaving it hydrated, smooth, and supple. This mask is made from a unique 100% hydrogel material. It contours to your skin and seals in the formula for optimal absorption to deliver clinically proven results. Step 3: Place hydrogel down on face and leave on for 15 minutes.